86 Great Western Highway, formerly occupied by Trains, Planes and Automobiles, is the only commercial building to have been erected in Mount Victoria during the immediate post World War II era. Its location away from the village centre suggests the influence of motor vehicles on patterns of life at this time. It is also one of the few buildings in the village to show the overt influence of a consciously modernist twentieth century architectural style. The site of 86 Great Western Highway was owned at one time by Margaret Cooper, the wife of George Hubbard Cooper. In 1887 George Cooper purchased the substantial dwelling in Montgomery St erected by John Fairfax in 1876. He modified the house before re-opening it as a guest house. By 1890 Cooper had acquired a liquor license in the name of the Manor House, but changed the name to the Grand Hotel in 1891; the establishment was commonly referred to as Cooper’s Grand Hotel. Cooper also established a coach line for the convenience of those guests wishing to visit the Jenolan Caves. After Cooper died in 1917 the hotel was inherited by his widow and one of their daughters. By 1916 Mrs Cooper owned what were identified as Lots 25 to 28 Deposited Plan 648. 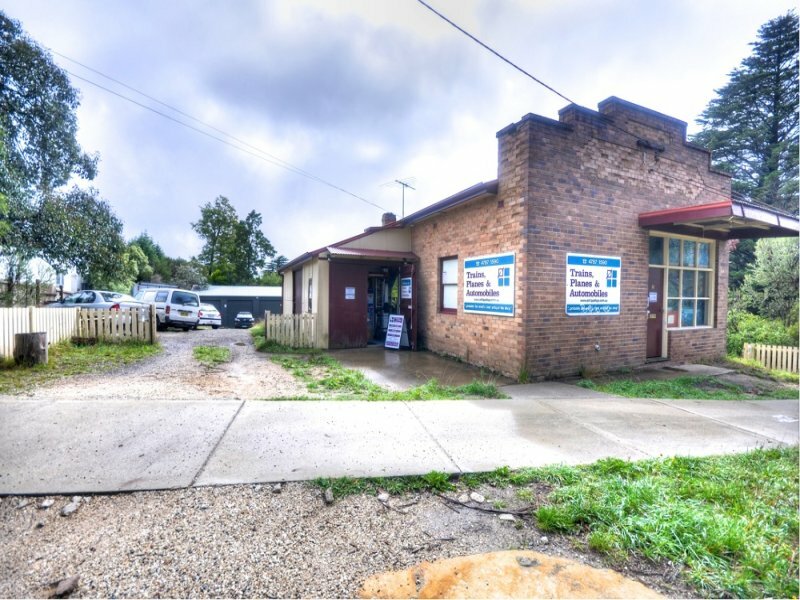 Lot 25 and 26 were bounded by Montgomery Street, while Lots 27 and 28 fronted the Great Western Highway, as well as adjoining land bounded by Montgomery and Selsdon Streets. The land facing the Great Western Highway remained undeveloped for some time, although by 1918 a house named “Manor Villa” occupied some of Mrs Cooper’s land and during the first half of the 1920s a cottage was built on Montgomery Street. Mrs Cooper died in 1933 or 1934 and the property was inherited by Florence White, who lived in Morningside, a suburb of Brisbane around 1937. 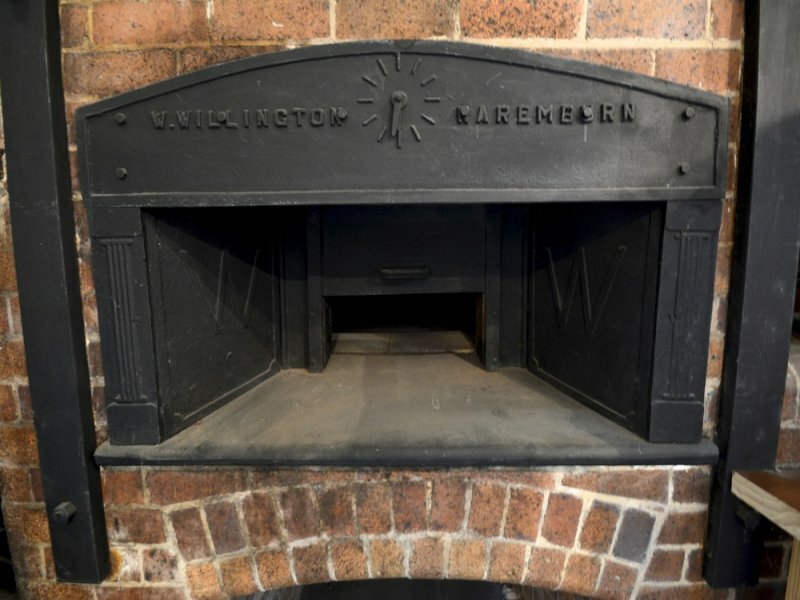 At the end of 1946 or the beginning of 1947 Lots 27 and 28 of the land, those fronting the Great Western Highway, were sold to Leslie Roy Smeaton, who was a master baker from Blackheath. The property was mortgaged in September 1959 to Tremain Bros Pty Limited, so it could have been constructed at some time between 1947 and 1960. Smeaton’s Bakery supplied bread to the Railway Refreshment Rooms at Mount Victoria Station. In September 1959 the title to the property was also changed, to include Selma Smeaton, then in December 1962 it was changed again, to the name of Blackheath Bakeries Pty Limited. In 1976 or early 1977 the building became the property of Doreen Wilkie-Thomson of Clovelly. On 30 March 1962 the title to the property passed to bar manager Henry Wallace O’Connor, bar manager of Potts Point, and his wife Betty. 5 Carrington Avenue was sold to Florence McLean Green of Moss Vale in April 1972, and the following year 7-9 Carrington Street was sold to Dion and Maureen Boehme. Please respect the privacy of the occupants. This page is part of the Great Places project about places in Mount Victoria. Each place in Mount Victoria will, one day, have its own page where its story can be told. This might be historical information, photos or more recent or current information. It can be about people who have lived at or been associated with this place, links to articles or information about the structures on the property. Places with a sign that has a QR code can be scanned into a smart phone. The QR is connected to a web page like this one with more information about the property for a self guided tour of Mount Victoria.